Together with Philips and HighTechXL, we’ve scanned the world to find the most innovative MedTech solutions to disrupt healthcare. Out of more than 100 high quality applications, Philips finally got down to 1 winner, with whom they believe can make a big impact on the daily lives of billions of people. On November 14th, 20 startups were invited at Philips headquarters in Eindhoven. All startups participated in roundtable sessions where 40 mentors from Philips had 1-on-1 sessions one specific topics. 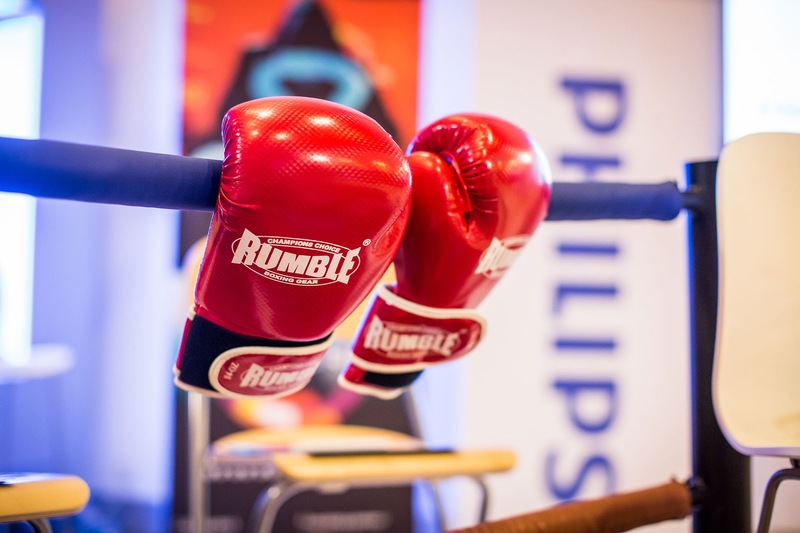 Ten of the startups were selected to pitch in the ring in front of judges and an audience consisting of Philips employees. After some fierce battles, CureMetrix proved to be the most promising and secured a pilot contract with Philips. CureMetrix works as an adjunct to radiologists and helps improve clinical effectiveness and efficiency. To make it a bit more practical: CureMetrix makes sure that we can diagnose breast cancer earlier and more accurately. CureMetrix wasn’t the only winner: StethoMe received a wildcard for the HighTechXL accelerator in Eindhoven – a great opportunity for them to accelerate their business. StethoMe is the stethoscope of the future. With StethoMe you can do home check-ups and send all the data to your doctor, without having to go anywhere! Winning the Challenge and Wildcard wasn’t the only gain this day, as Philips sees a future with more companies than these two. That’s why they decided to follow up with all startups that were in Eindhoven, to explore how they can work together. 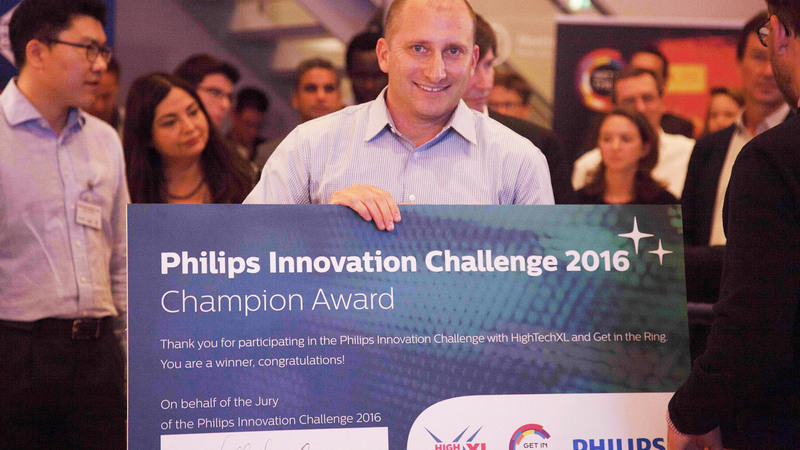 This means a step forward for new innovations at Philips through successful collaborations! It’s safe to say that Nov 14th was a good day for MedTech startups. Not in MedTech but also looking for corporates partners? Check getinthering.co/challenges and stay tuned for a Challenge matching your expertise! You can find all pictures of the event here.